1911 pistols specifically utilize .45 caliber ammo. They are single action, semi-automatic, magazine-fed, and recoil operated. The best 1911 holster offer a quick draw and in many cases will fit an extra magazine or two without affecting the durability of the pack. The holsters described here are intended for leg use and active lifestyle. 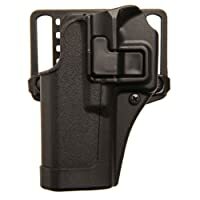 We cover the gamut of possible situations with these units and there are many holsters that are not made with the quality and durability as these. The holsters here will last for many, many years and users will become comfortable with the gun they use in the holster. They will want a different holster for each 1911 firearm. Security in many ways– that is what you’ll get with the Condor Tornado. The wrap around design is loose enough to fit a laser or flashlight mount along with just about any medium or large sized pistol without any discomfort. The non-slip rubber lining makes it easy to wear tightly without agitating the skin or your leg. When worn tightly, users can run, stretch, and be agile with quick movements and not have to worry about the holster loosening or adjusting. Proper fitting of the leg straps is very important but when correct, users will hardly notice it is there. Ideal for camping, hiking and transporting to the range. For left-handed configurations, this holster will not work and it cannot be altered to do so. But there is not a better option for right-handers in this price point. Velcro, heavy duty nylon and a thin layer of extra padding ensure comfort as well as security for your weapon. This best 1911 holster is long enough to cover the barrel and the light with about a ½ inch to spare. The gun will fit in there nice and tight but is easily removed with a straight pull. This CQC Carbon Fiber Holster has a solid exterior and allows for an exceptionally quick draw. It stands apart from Nylon soft holsters in that it is easier for users to feel confident in their ability to draw the weapon quickly in case of an emergency- just be sure the gun is inserted the correct way! The product weighs 9.6 ounces and is very easy to learn for beginners. Releasing the gun requires pressure on the correct button, which after memorization is just a force of habit. A quick detach system can be installed and should be for outdoor use. While not ideal for concealed carry purposes due to its bulkier structure, this holster is top rated and because it has both left-hand and right-hand options, it is one of the best 1911 holsters. It comes with a paddle and a belt attachment. This holster offers specified sizes for specific types of guns. When buying, be sure to select the correct size for yourself and the gun you intend to use it for. Otherwise, quick draw ability and general satisfaction with the product will be impaired. This holster offers durability like no others can. It is specified for as the best 1911 holster for 5-inch Colt, Kiber, Para, and Springfield models with fit and quick draw abilities being maximized as such. Because it is so specific as to the types of pistols it can hold, it is able to hold the gun extremely close to the body for concealed carry situations. The entire barrel of the gun is covered, keeping it protected from scratching or cloth irritation. Because it is made of leather, it is comfortable and molds well to the users body type the more he or she wears it. Apply a few dabs of Draw E-Z to help with break-in and comfort. 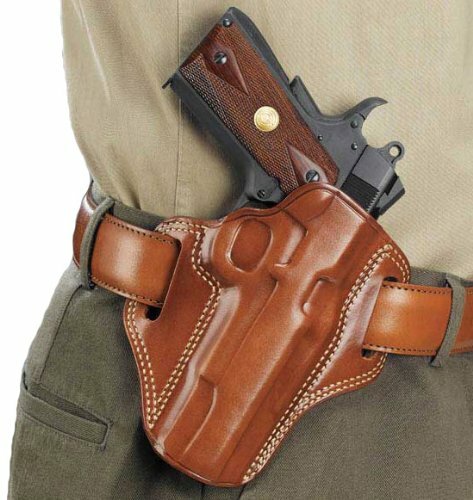 For active outdoor situations, the holster keeps the pistol nice and snug. If strung through a belt loop, loosening or bumping will be minimized and the handle will be kept stable for the easiest draw. The trigger is covered when secured and this best 1911 holster comes with everything necessary for proper use. When looking for the best holster for 1911, consider the many factors. Start with your size- some holsters work better for smaller people and some for larger. 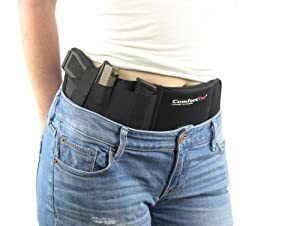 -Consider your activity level, as many softer holsters work better for more active activities like hiking and running. Harder case holsters are better for range transportation and general storage, as well as quick draw situations. – Comfort is much more important than looks- having a holster that itches, rides, sags, or otherwise affects your general movement will mean that the user does not want to wear it and potentially means that the 1911 weapon is not fitting properly into the holster. -Choose one that protects your gun securely covers as much of the barrel as possible. All three of the holsters discussed here are strong in this category. -Do you want to hold the gun vertical or horizontal? Vertical holsters such as the ones here are the best 1911 holsters for most situations. These three products are very different and are the best 1911 holster in their category. 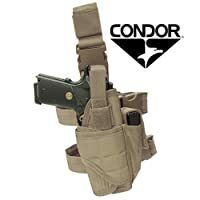 The Condor Tornado Tactical Leg Holster is top of the line for outdoors activities such as hiking, camping, backpacking, and wilderness shooting. Of the three products here it is the slowest at releasing the pistol but is the most versatile as far as what types of firearms it can carry. On the opposite side, you have the Galco Combat Master. It fits specified pistols but fits them perfectly, and forms to the hip of the carrier better than any holster on the market. For the fastest quick draw, the Blackhawk! Serpa Concealment Holster is the way to go. Its flashy appearance complements good looking firearms and it allows for easy trigger access once the release button is pushed. Therefore, a buying decision comes down to what type of pistol you have and where you will be carrying it. Odds are, one of best 1911 holster is the good for your situation. You will be happy with your purchase.